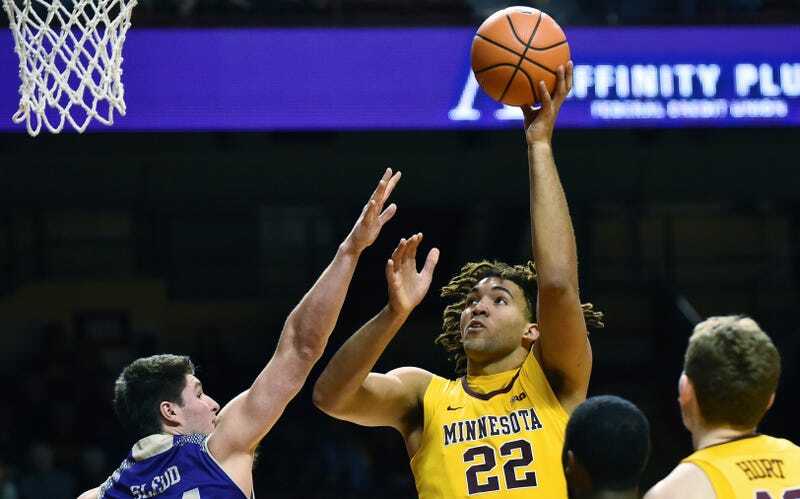 Former Minnesota center Reggie Lynch dropped his appeal of two separate university investigations that found him responsible for a pair of sexual misconduct incidents Thursday afternoon, according to the Star Tribune. The announcement came two hours before he was expected to speak at his hearing in front of the three-person university sexual misconduct subcommittee. The decision effectively ends Lynch’s career at Minnesota. Lynch instead spoke outside his attorney’s office; he maintained his innocence, citing his mother and respect for all women as reasons he would not have assaulted or harassed multiple university students. Lynch was found responsible in two cases of sexual misconduct by the University of Minnesota’s Equal Opportunity and Affirmative Action office—the EOAA investigated a report filed following an April 7, 2016 incident and another concerning a separate case that took place on April 28. The EOAA recommended expulsion for the April 7 case and suspension for the April 28 case. This all followed his arrest for sexual assault in May 2016—in that case, police did not press charges and a university investigation cleared him. Following the April incidents and ensuing investigations—through which Lynch was allowed to play with the Gophers by Minnesota AD Mark Coyle and Gophers head coach Richard Pitino—Lynch was suspended from suiting up for the Gophers, but was still allowed to practice with the team. The reigning Big Ten Defensive Player of the Year has not yet announced what his next move will be or whether he plans to continue his career in the college ranks.